Floats were the best tool we had available at the time, but they were never really meant for full-page layout, they were meant for floating an image next to a block of text. Because of this, faking a grid with floats requires careful calculations of widths, setting margins and results in pages that can easily break when the content changes or isn’t what the designer or developer intended. The frameworks a lot of us relied on hid most of this complexity. However, using Flexbox to build a two-dimensional grid is also a hack. So all those frameworks just transitioned to using Flexbox. It was better than using floats, but still a hack. So how is CSS Grid different? CSS Grid has just appeared during the past year in modern browsers and has been implemented at an astonishing speed (compared to many previous CSS features). I’m not going to try to explain everything CSS Grid can do here, but I’ll cover the basics, show some examples and then discuss what that means for the future. Similar to flexbox, I set the parent element to display: grid. The big difference are the new CSS properties grid-template-columns, grid-gap on the parent which actually define what the grid should be, and grid-column on the child element (.small-4 in this case because I wanted to keep the same markup from the previous example). The value of grid-template-columns is repeat(12, 1fr) which the browser interprets as “divide the available space equally between 12 columns”. The big difference here compared to our previous example is that instead of having to calculate and set the width of the small-4 element, I’m just saying “I want this to span 4 columns”. These two properties allow you to define arbitrary tracks (a common term for columns and rows). Here for example we’re defining one 200px column and another 800px column. These are obviously fixed-width. In this next example, the second column has been changed to be flexible using the new fr unit. 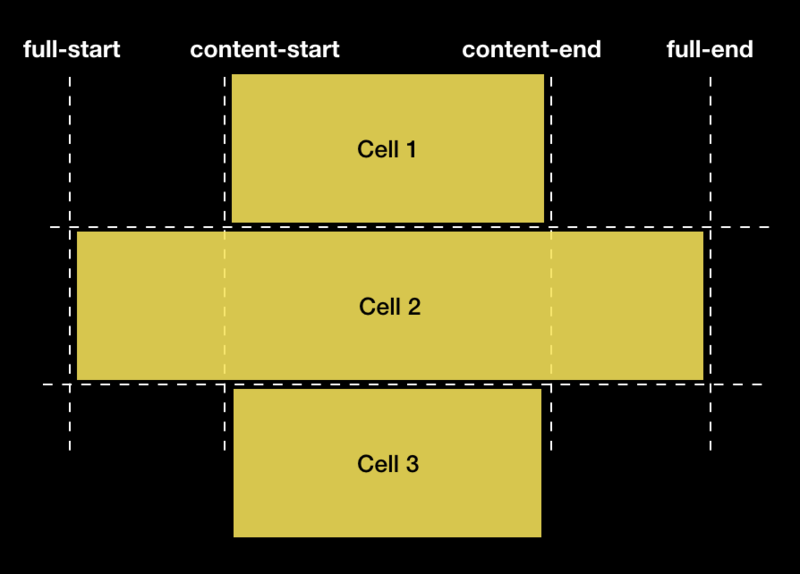 fr stands for “fraction of the available space”, so this second column will now expand to take up as much space as it can within its parent container, after space for fixed-width columns has been reserved. Notice how now both the 2nd and 3rd columns are 1fr. First the browser will add up those units (1 1), divide up the available space by the total (2) and then allocate the space to the individual columns. So if I were to change the second column to 2fr, its width would be twice the size of the third column. So back to our 12-column example, we could define that grid like this: 1fr 1fr 1fr 1fr 1fr 1fr 1fr 1fr 1fr 1fr 1fr 1fr but luckily CSS Grid supports a handy repeat notation which allows us to just write repeat(12, 1fr). The repeat notation can also be used to repeat a pattern, such as repeat(12, 1fr 50px) which would make every other column 50 px and the rest would be split up evenly based on the available space. In the above code, min-content is a way of saying “I want this track to be whatever the minimum size is that my content needs”. There are loads of keywords like this, you should read up on all the ways to size tracks here. We no longer need to bother with paddings or margins to create fake gutters, because the grid spec has a new property just for that, grid-gap. In the latest spec version this has been shortened to just gap, hopefully meaning that we might get the same feature in Flexbox later on. You should probably still use the older syntax for now because browsers don’t support gap yet. What we’ve done so far isn’t anything we couldn’t have done with flexbox or floats. The code is more robust for sure, but it’s still not anything radically new. But what if you want one of the items to span two rows? This grid has 13 vertical lines and 3 horizontal ones, and we have 4 items placed onto the grid. Line numbers can be a bit cumbersome to maintain if you ever want to make changes to your grid, but named lines are a bit more handy. 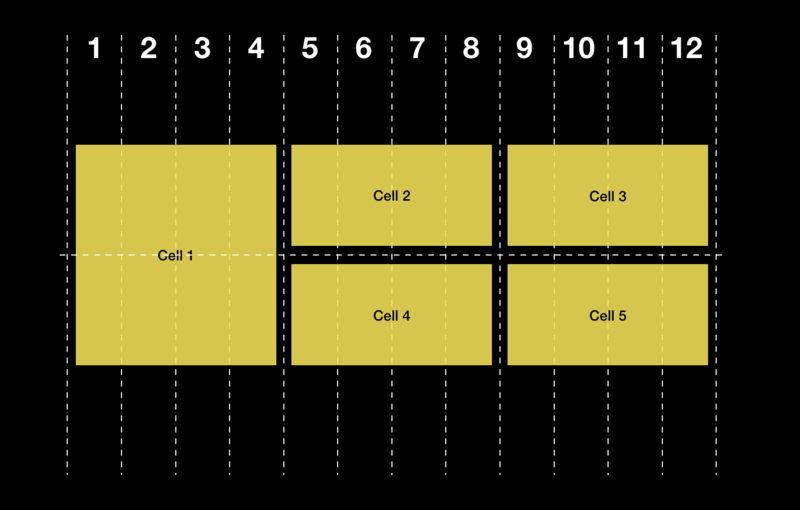 A three-column grid with two items in the middle column and one spanning all three. Let’s say we have something like this where we want the content to occupy a middle column but we want some elements to go full-width. We could use line numbers, but your CSS becomes much more flexible by naming your lines and refering to the names instead. To name lines, you add the names of the lines using angle-brackets in between the track definitions. You can also have more than one name per line separated by a space, so they’re almost like classes, but defined in CSS itself. Now we’re referring to the lines by name instead of number, which also makes the intention of the style rules much easier to understand. Named lines are cool, but what I’m really excited about is named areas. A rather boring responsive layout. Grid-template-areas allows us to name our areas and create a kind of ASCII map of our grid. Each row is delimited by quotation marks and for each column you use a keyword to define an area. This is a lovely visual way to define the grid and I can imagine this empowering many designers too who previously haven’t liked to touch code. Then, when we place our items on the grid, all we do is refer to the name of the area using grid-area. 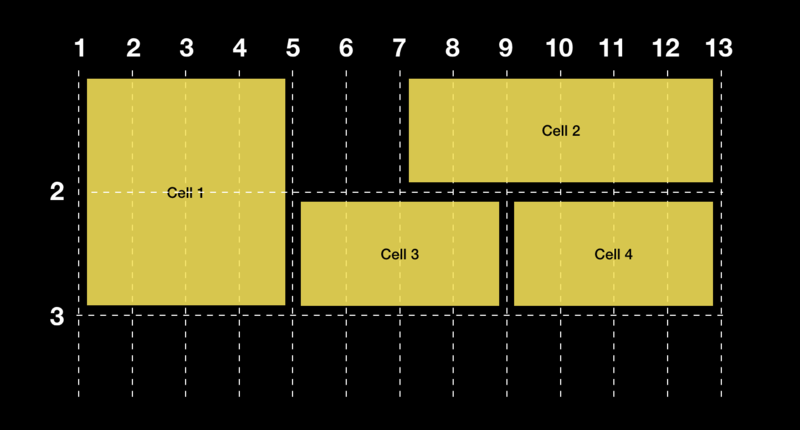 There’s lots to know about defining grids and placing things on the grid, and I recommend you read the spec to find out more. Do we still need frameworks? 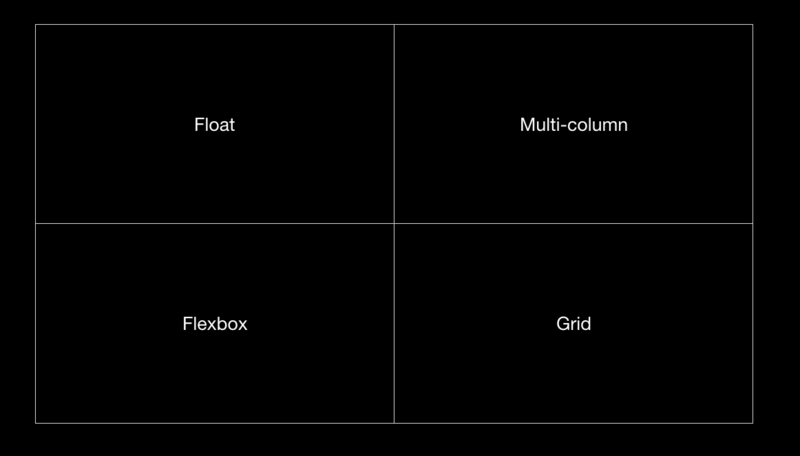 Grid frameworks have mostly served to hide the hackyness of CSS layout until now. Going forward, I can only see frameworks as limiting the potential and of what is possible by combining Flexbox, CSS Grid and the many other layout methods CSS offers. This doesn’t necessarily mean that we won’t need frameworks at all, but the approach of Foundation and Bootstrap will have to change significantly to continue to be relevant. Or be replaced by newer ones that embrace the possibilities of CSS Grid. Meanwhile, now is an excellent time to learn the individual layouts methods well and become an expert. So I’m already convinced that we can use CSS grid in production, but how do we handle old browsers? Support is actually very good (see caniuse.com for the latest stats), and the implementation across modern browsers is amazingly stable. IE10 and 11, along with old versions of Edge support an older version of the spec, but it’s so different from the current spec that I don’t recommend bothering with it unless you have a large percentage of users on those browsers (which we actually did in a recent work project). 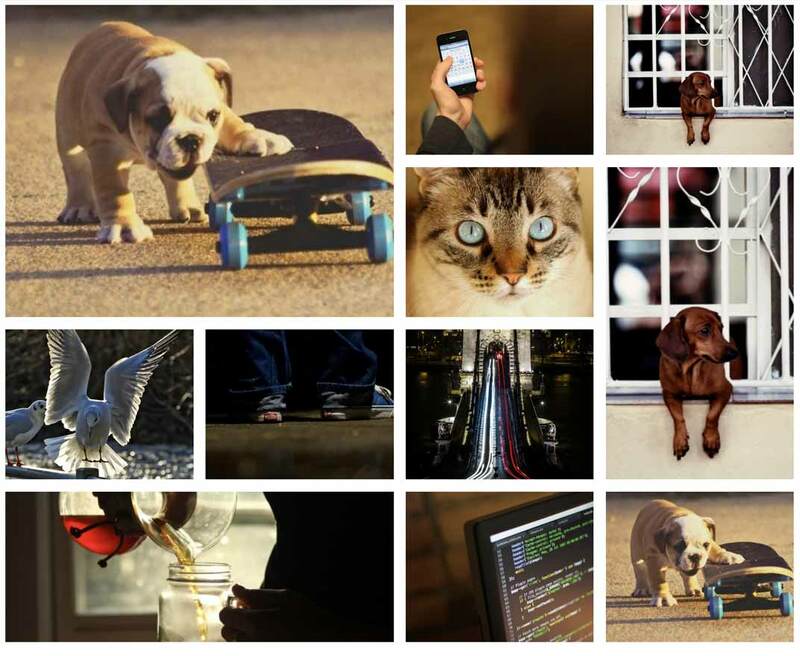 This photo gallery is otherwise pretty basic but we want some items to span more than one column or row on the grid. Once an element becomes a grid item, the inline-block rule is ignored. There’s nothing significantly new here but notice I’m using a feature query with the @supports notation to check for grid support and resetting widths. I’m also using auto-placement which is well suited for cases where we don’t know the exact number of items we’ll be having. CSS Grid does not modify the logical source order of the page, so you should be very careful when moving items around. Many of the same concerns apply to flexbox, but CSS Grid gives us even more power to potentially make a page very confusing to users navigating using e.g. a keyboard. As suggested by Rachel Andrew and others, this feature can still be very useful for prototyping, and once you’ve reached the desired layout, you can change the source order to match.